JJ Brewsky's in Old Town Camarillo is currently in renovation to re-open as The French Bulldog Bistro & Lounge next weekend! Specifically, the new owner indicates they will be opening on Thursday, March 15th and reservations are currently being taken via email. (See The French Bulldog Facebook page for details.) 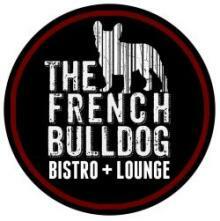 The French Bulldog is a gastro-tavern serving a new selection of martinis, specialty drinks, beers and food by Chef Gael Lecolley! Their website is www.thefrenchbulldogbistro.com and phone is (same as JJ's) 805.482.5249. Should be fun to check it out! Anyone else noticing the clear trend in gastro pubs and taverns around town!? Brendan's Pub in Camarillo and more recently in Agoura Hills, The Tipsy Goat and The Mermaid Tavern in Thousand Oaks, Ladyface Alehouse and The Lab Brewing Company in Agoura, the new Cronies location in Newbury Park (also in Simi, Ventura and Camarillo), The Kitchen in Downtown Oxnard and more. Bottom line: Beer is recession-proof!